Sinningias which grow in partial shade or full shade usually have their tubers partially exposed. On the other hand, sinningia species which grow in sunny situations have tubers buried deep in the soil. 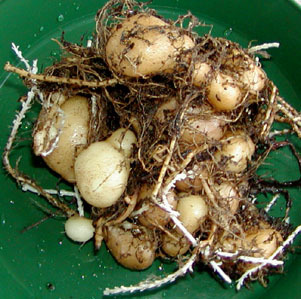 These tubers are often small but clustered, the individual tubers connected by rhizomes, as seen in this picture of Sinningia tubiflora.